The Sludgelord: ALBUM REVIEW: Gloson - "Grimen"
"Grimen" keeps getting better, the more you listen. It stirs the imagination with its ferocity and complexity. From its excellent pacing to its subtle use of varied instruments, it's a breathtaking achievement for a band that's just getting started. 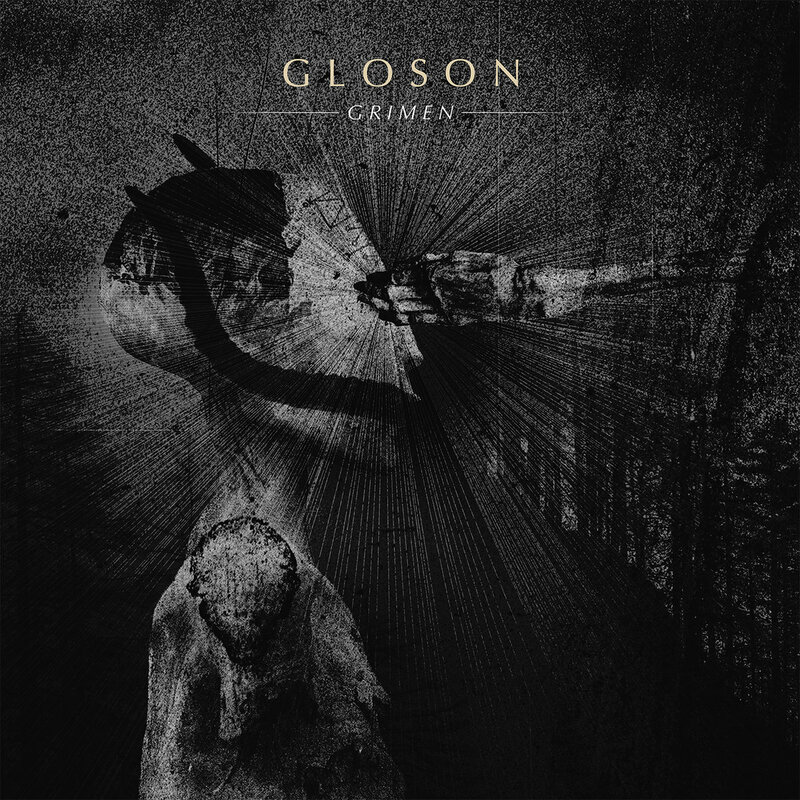 Out of the dead of winter, Gloson emerge with their debut full length, "Grimen". The follow up to their 2014 EP, "Yearwalker", “Grimen” is a full dose of foreboding post metal sludge, steeped in Scandinavian folklore. The New Year release seems fitting if we follow the lore of “Yearwalker”, where the seeker goes on a quest for enlightenment, fasting and avoiding all human contact, culminating in supernatural challenges, and hopefully visions of the future. If “Grimen” is the manifestation of those visions, then much like the Swedish winters of Gloson's homeland, the future is dark. Instead of annihilation we get a moment of respite and a brilliant change pace with "Antlers". Creeping in on an eerie and dissonant guitar melody, paired with a didgeridoo (you heard me), we’re introduced to a completely different soundscape. The snare strikes like thunder to give way to the voice of dread who unfolds the tale of his undoing. In despair, the ominous voice proclaims "I wear the antlers of the grim, the sun deceived me". I won't read more into this track because you'll enjoy it more by building your own tapestry from it. As the fury of the story teller mounts, so too does the song structure. It's suspenseful and haunting, a track that demands replaying, in the middle of an album that just keeps growing in complexity. From the despair of “Antlers”, "Cringe" launches a new offensive on your senses. Layer upon layer it grows, becoming more intense and strident than its predecessors. Militant percussion, swirling guitars, the occasional tolling of a bell and the brutal roar of lyrics that usher in a final destruction by fire. Out of those ashes crawls "Spectre" on a lilting acoustic melody paired with melancholy strings. The track appears to be a brief and gentle remembrance of what was lost in the fire until it overpowers into another brief and brutal explosion, contemplating the mourners spectre of failure. The album winds to a close with "Embodiment", a loping and lengthy instrumental (or so it would appear) careening back and forth for eight minutes between pensive post metal and smothering doom. Just when you think it's all over, the shredded voice of dread returns to remind you that it's never over. "Grimen" keeps getting better, the more you listen. It stirs the imagination with its ferocity and complexity. From its excellent pacing to its subtle use of varied instruments, it's a breathtaking achievement for a band that's just getting started.